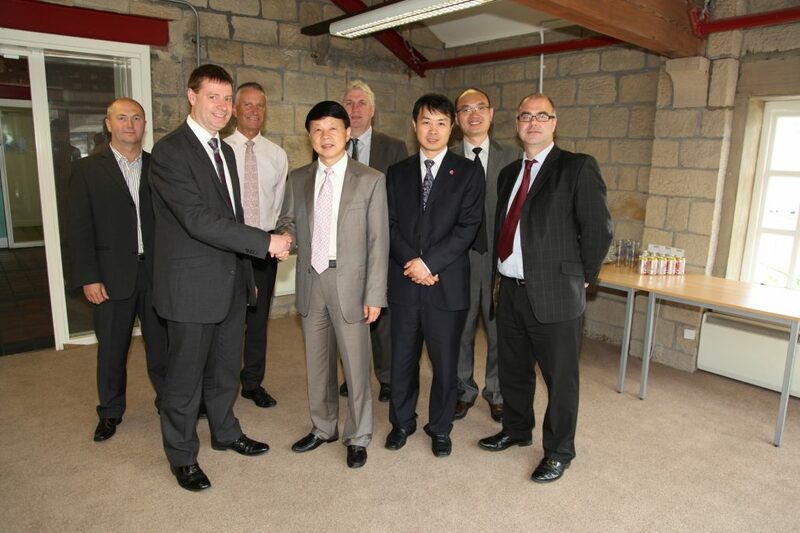 An expanding Shipley-based electronics business, which has launched a new operation in China, played host to senior trade officials from the Chinese Embassy in London. They were keen to learn more about how its products have revolutionised mobile phone technology. Award-winning Radio Design Ltd, launched five years ago by managing director Eric Hawthorn, has developed products that enable mobile phone operators to share radio masts and save millions of pounds. The firm has started operating in Wuxi, near Shanghai, where it has a licence to manufacture, provide product support services, import, export and distribute. “Our objective is not to set up manufacturing in China for export back to Europe – we are there to address opportunities in the Chinese domestic market,” said Mr Hawthorn. The visit was organised by the China-Britain Business Council for Zhou Xiaoming, Minister Counsellor at the Chinese Embassy with responsibility for commerce, and his colleagues Pan Jiansheng and Jiang Tao. The party also visited the Spooner engineering plant in Ilkley where they were shown the Olympic Torch carried by the firm’s UK director Steve Newell in Bradford last month. Spooner, which makes equipment including ovens, dryers and coolers and exports more than 50 per cent of its output, recently appointed a representative in Shanghai to help it develop more business in China. The CBBC delegation also visited luxury car customising specialist Project Kahn on Canal Road, Bradford, and historic textile firm Hainsworth in Pudsey. Radio Design Supports Local Business Development Initiative, and Features in... Radio Design Cricketing Daredevil!